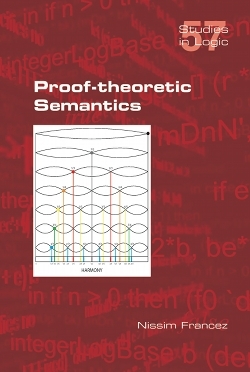 This book is a monograph on the topic of Proof-Theoretic Semantics, a theory of meaning constituting an alternative to the more traditional Model-Theoretic Semantics. The latter regards meaning as truth-conditions (in arbitrary models), the former regards meaning as canonical derivability conditions in a meaning-conferring natural-deduction proof-system. In the first part of the book, the Proof-Theoretic Semantics for logic is presented. It surveys the way a natural-deduction system can serve as meaning-conferring, and in particular analyses various criteria such a system has to meet in order to qualify as meaning-conferring. A central criterion is harmony, a balance between introduction-rules and elimination-rules. The theory is applied to various logics, e.g., relevance logic, and various proof systems such as multi-conclusion natural-deduction and bilateralism. The presentation is inspired by recent work by the author, and also surveys recent developments. In part two, the theory is applied to fragments of natural language, both extensional and intensional, a development based on the author�s recent work. For example, conservativity of determiners, once set up in a proof-theoretic framework, becomes a provable property of all (regular) determiners. It is shown that meaning need not carry the heavy ontological load characteristic of Model-Theoretic Semantics of complex natural language constructs. Nissim Francez is an emeritus professor of computer science at the Technion, Israel Institute of Technology. At a certain point in his career he moved from research related to concurrent and distributed programming and program verification to research in computational linguistics, mainly formal semantics of natural language. In recent years, he has worked on Proof-Theoretic Semantics, in particular for natural language.